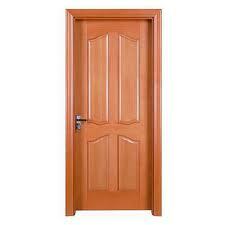 Robyns Simple Life: Let me help you find the door..
Let me help you find the door..
As for so called friends? Yeah, this is a good one...I can not do the things you can do, I can not drink, I can not party like I was 19 again, I can not stay out or awake until 2 am anymore.. I can not walk the length of a block without getting tired and dizzy, I can sit down to a delicious meal and eat it like you can, in fact, I can't eat it at all right now because I can not swallow normally anymore..There are many things I can not do but there are also things I can do with moderation.. If that's not good enough or to slow for you? Sorry... You know where the door is..
Just because I may not live around the block any longer, or I may not even live in the same state any longer and dont' have the physical capability to come see you is no excuse for ignoring me.. If you have the physical means to come see me, or call me and can't be bothered, then please.. you know where the door is..
And worst of all please do not act like you are interested in hearing what I have to say when in reality you could care less.. Not only does this waste my time and precious energy, it's an insult to my intelligence which by the way, I have a lot of.. Just so you know, people really can tell when someone else is truly not interested in what the other person is saying... You don't need to be a rocket scientist to figure it out.. If as of late you've had something happening in your life that I have not bothered to ask about it, this post may give you a clue as to why... I am done putting out my olive branch only to pull it back in empty..
To sum it up is pretty easy.. I have been sick from what started out as Lyme Disease since I am 24 years old... No it's not getting better, yes it has caused a lot of damage to my body and has put many physical limitations on me..As for my beliefs, I believe in freedom at all costs, I don't believe in illegal immigration and I believe people who come into my country illegally should be rounded up at all costs and deported.. Sorry, blame your government for people like myself feeling this way. If they had done their job then people like me probably would feel differently.. I do not agree with nor do I like the current President of the USA..I have nothing good to say about him and probably never will..I do not like nor agree with the current government and probably won't until things change.. Nor do I trust any of the above. Please don't try and convince me otherwise.. You're wrong, that is, you're wrong unless you believe in socialism and communism, in that case you'd be right..it's all out there for you to see if you CHOSE to look at it for yourself. If not, well, thats your problem, not mine.. I am a Catholic...I believe in what my church teaches and no, I am not brainwashed, I have sins and big faults of my own that I need to make right.. I do not believe in homosexual marriage, I do not believe in abortion.. I am highly against both... I believe in life at any age and every stage of life and I DO NOT believe in euthanasia which is like abortion, nothing else but murder..
Having said the above, does that mean that I hate or dislike people who do not believe as I do? Not in the least... Everyone is entitled to their opinion and how they want to live their lives. Does that mean that I would not be friends with anyone who does not believe as I do, of course it does not.. In a friendship you can agree to disagree and still be the best of friends.. If YOU can't?.. Then you need to grow up...I don't expect everyone to agree with how I live, or my choices either but I do expect my choices and life to be respected.. You can't do that? By all means, you know where the door is.. The last thing I am SO tired of is people judging other people by the way they look.. You know what? I don't look like I did years ago, my illness has taken it's toll on how I look, I dont live in a 300K dollar home, I don't drive a 50K dollar car, I don't dress in high end brand name clothing designers, I don't carry 500 dollar handbags...none of this matters to me.. Some of the kindest people I have met have been those who most people wouldn't even take a second look at because of what they saw the first glance they got..
To sum up my post.. You now understand what I am about, what I believe in and how I feel about certain things.. If you don't like any of it.. by all means, you know where the door is..